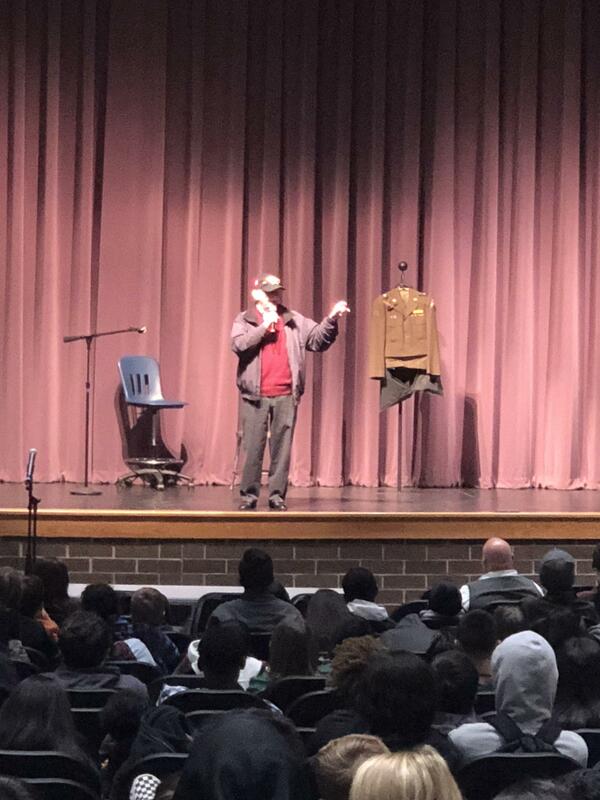 Holocaust survivor Bill Orlin, who is also a US Army Veteran, spoke to students studying the topic at Rudder High School. The Rudder High School English I ELA classes have been exploring the theme of "Are We Truly Equal?" through texts surrounding World War II and the Holocaust. 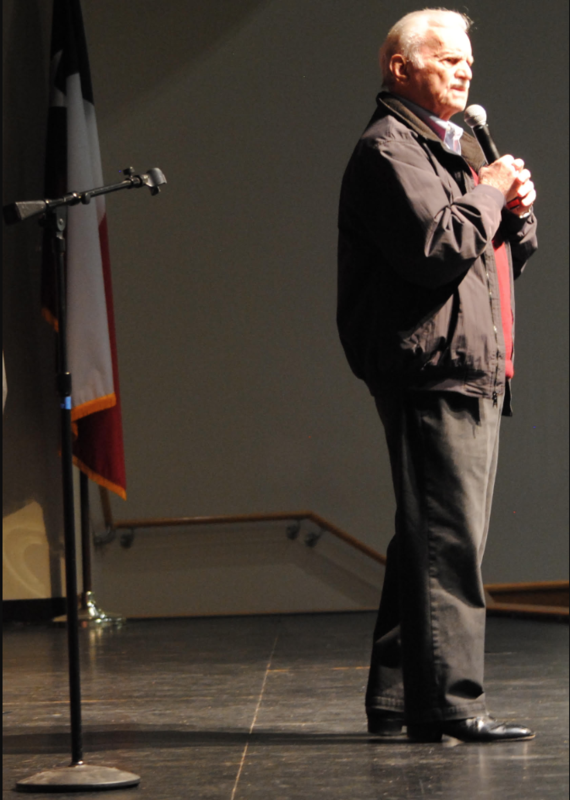 To further their experience and make the texts more relevant, the team of teachers arranged for Bill Orlin, a Holocaust survivor, to come speak to freshmen students. Orlin was born in Poland in 1932 and was seven years old when Nazi troops invaded. His entire village was forced into a 50-mile march, suffering abuse along the way. His family eventually escaped form Europe, and Bill made a new life in the United States, serving in the US Army during the Korean War. He told students how his difficult childhood and journey to Houston taught him valuable life lessons. He now teaches actively about his experiences to help others understand the importance of respecting human life. The students were enthralled during the presentation and several of them stayed after to meet him and ask further questions. Rudder teacher Amanda Hardwick said, "This was a once in a lifetime opportunity for the students, and we are very thankful for the experience Mr. Orlin provided."